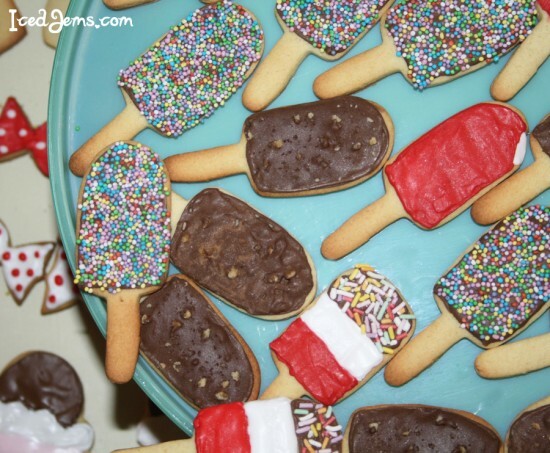 I am basically in love with the cute little Ice lolly Cookie Cutter from my online shop. 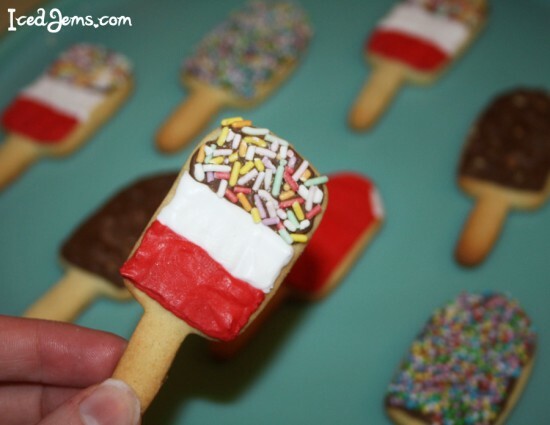 As soon as it arrived, I knew I had to have a play and make some classic british ice lollies as biscuits! This is a simple recipe using a no-spread cookie dough and royal icing to decorate. 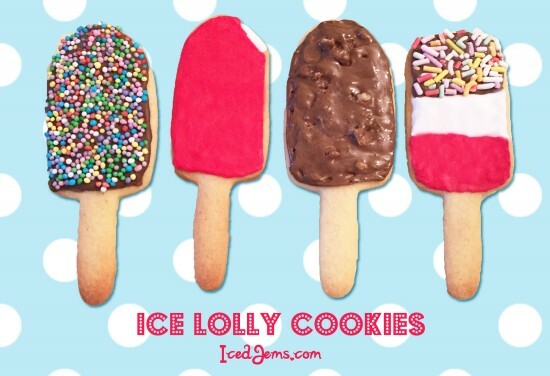 I used the same cutter to do all the ice lollies, I’ll show you how to change the shapes below. 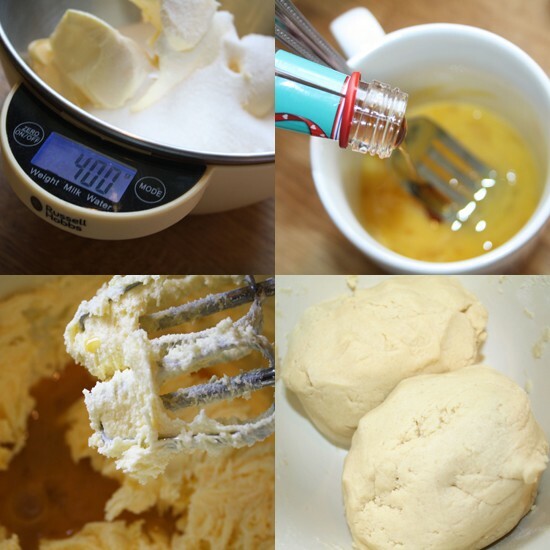 To make your delicious no-spread sugar cookies, start by creaming together your butter and sugar. Make sure you don’t overdo it or you cookies might spread! Next pour in your lightly beaten egg and vanilla essence and mix until well combined. Finally add the plain flour and mix well until you have a soft cookie dough that rolls together in a ball like the picture shown above. 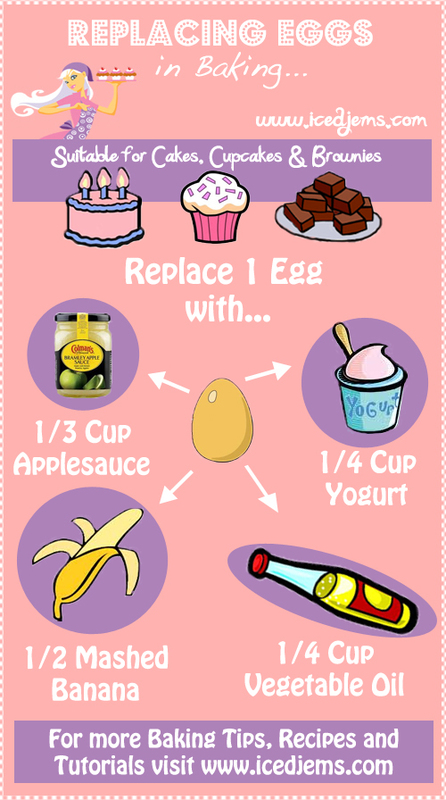 Wrap it in some cling film and pop in the fridge for about 30 minutes until it is firmer. Once your dough has chilled, you can preheat your oven to approx 170 degrees (mine is fan assisted) and line a few baking trays with baking paper. Remove the dough from the fridge and roll out onto a lightly floured surface to approx 6mm thickness. 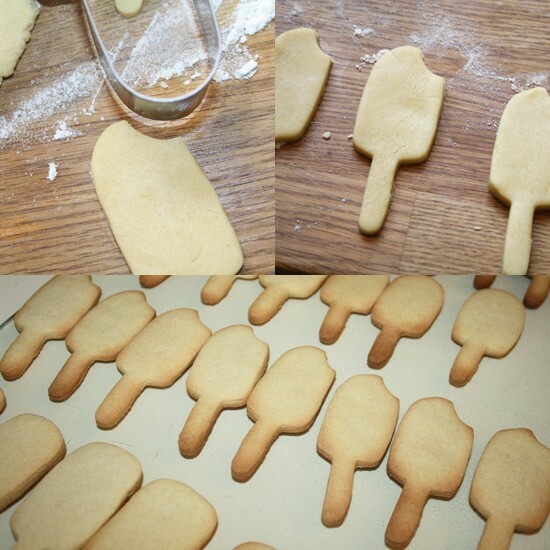 Use your Ice Lolly Cookie Cutter to cut out your shapes, then transfer to the lined baking trays. 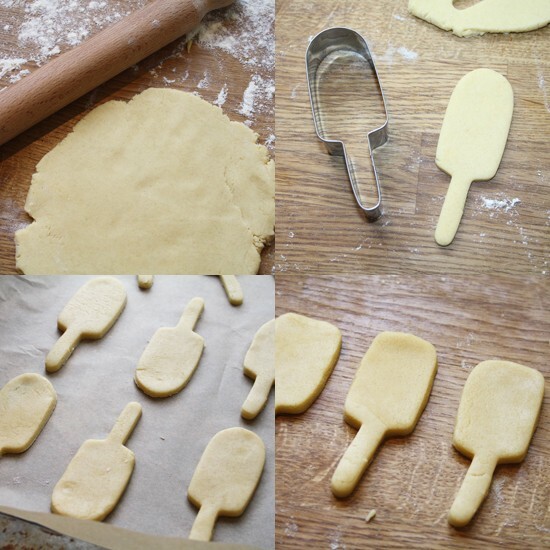 The cutter is the perfect shape for Nobbly Bobbly’s and Feast’s, but use the flat side of a knife to push down the tops of the dough to a flat top for the Fab Ice Lollies. 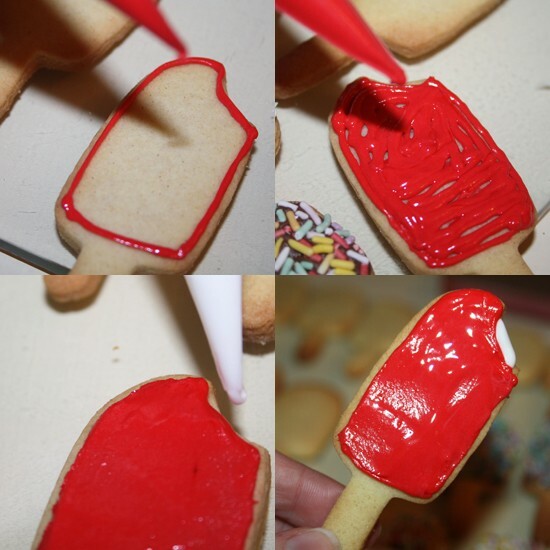 I actually added a bit of further detail for my Strawberry Split Cookies, and use the top corner of the cutter to cut out a small bite sized shape from the cookies. This means you can add a little extra detail when decorating to show the ‘inside’ of the lolly. Transfer the cookies to the oven and cook for approx 8 minutes, but do keep a close eye on them as the ‘stick’ parts will brown quickly. Once baked, transfer to a wire rack to cool. Cookies are always best decorated with Royal Icing, as this dries hard and pipes very well. You can make Royal icing from scratch using egg whites, but I cheated and used a packet mix that just requires adding water (I was a bit too excited to start decorating). 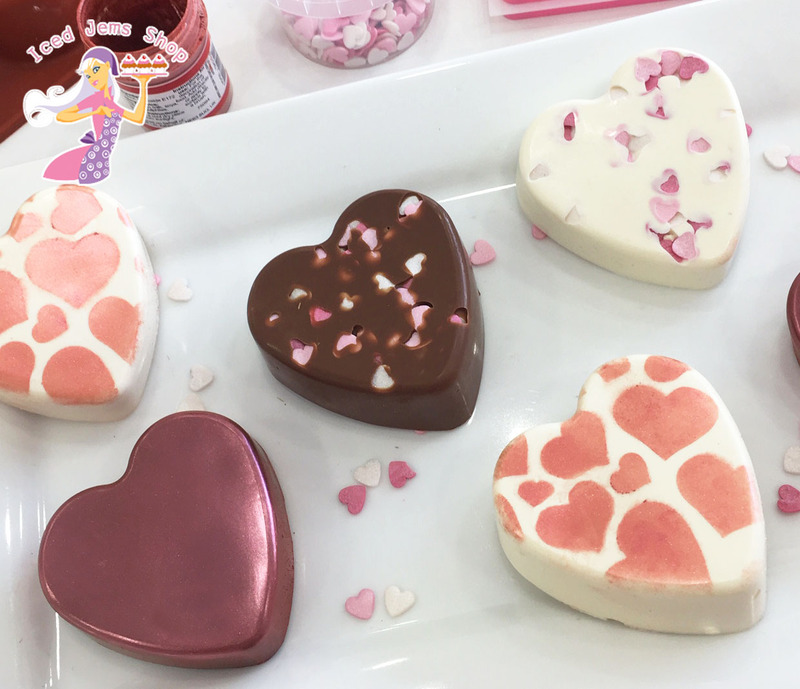 Once you have mixed your Royal Icing, separate it into three bowls and colour one bowl with Red Food Paste Colouring and one with Brown Food Paste Colouring. 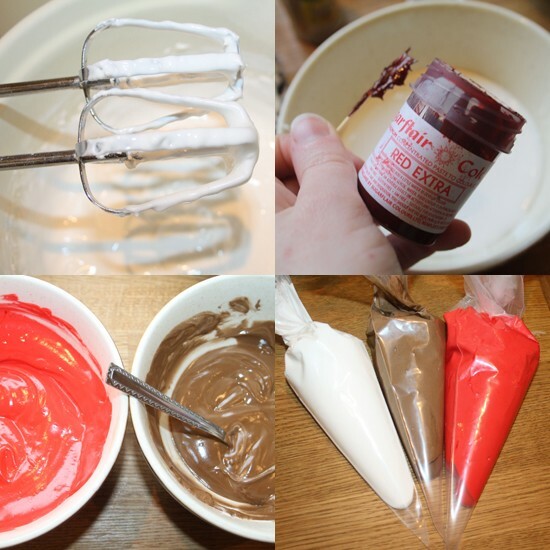 A few things to note here…I used Red Extra Food Colour Paste to get my icing a nice deep red, never use liquid food colourings with Royal icing as they will just end up changing the consistency and they will never achieve a deep colour. 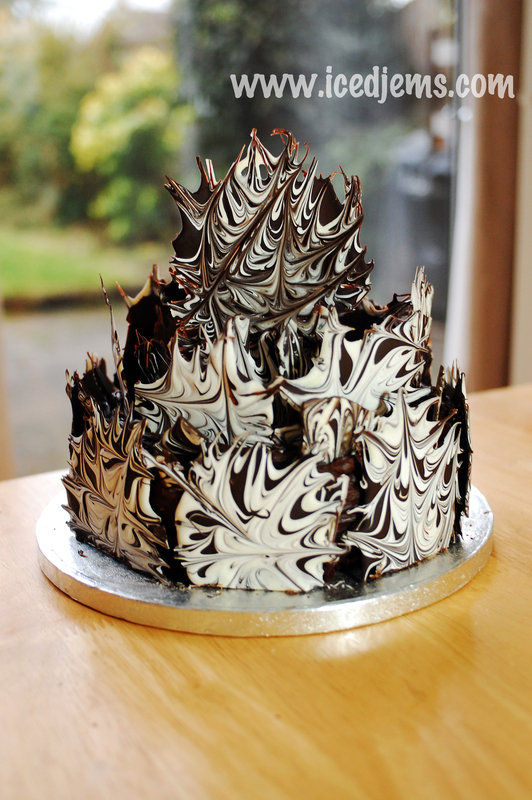 I also wanted to note that you can just use melted chocolate instead of Brown Royal Icing, this will add some yummy flavour too. Once your colours are mixed, transfer about half of each colour into a disposable piping bag. 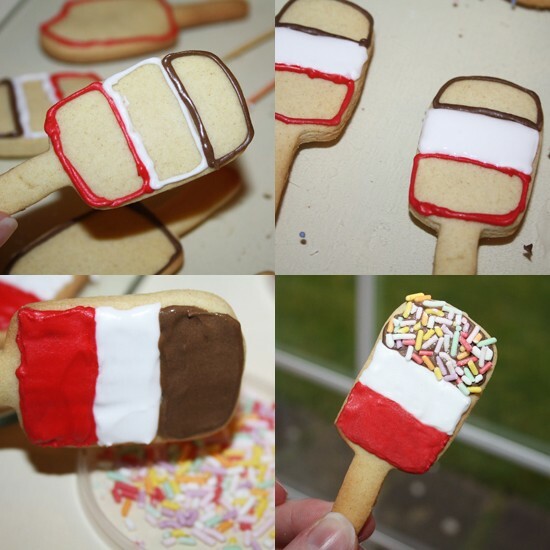 To make the Fab Ice Lolly Cookie (which was definitely my favourite to make), pipe the outlines of three equal rectangles onto the cookie in the three different colours. Allow these outlines to dry, this should only take a few minutes with Royal Icing. The key to decorating cookies with Royal Icing is to pipe the outline of the shape you want to fill, then ‘flood’ the area with a wetter icing to leave a smooth effect. I added a little water to the icings left in the bowls, then dropped small amounts into the piped outlines and spread out with a cocktail stick. 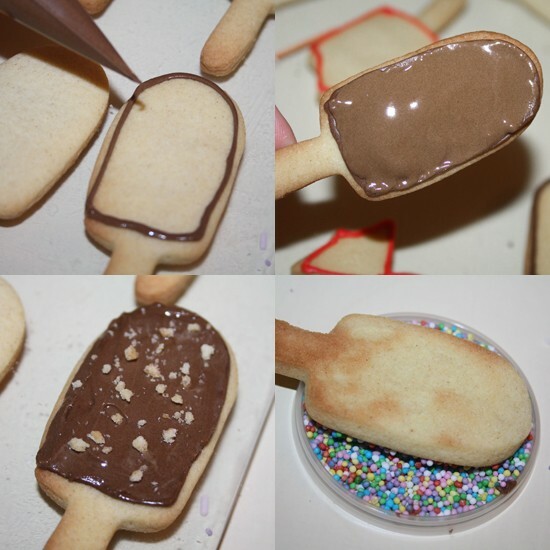 Make sure you ice the brown rectangle last, as you will then need to dip this face down into sprinkles. The Strawberry Spilt cookie was really easy, I simply piped an outline in red around the outer edge of the cookie and filled in with wet royal icing once the outline was dry. I then added a small line of white royal icing to the top right corner where I had cut out the ‘bite mark’ before baking to make it look like the vanilla ice cream inside! For the Nobbly Bobbly and Feast cookies, simply pipe an outline of brown royal icing, then fill with wet royal icing once the outline is dry. Before allowing the filled area to set, either sprinkle with a few cookie crumbs for the feast, or dip into hundreds and thousands for the Nobbly Bobbly! And that is how you make some extremely cute cookies! 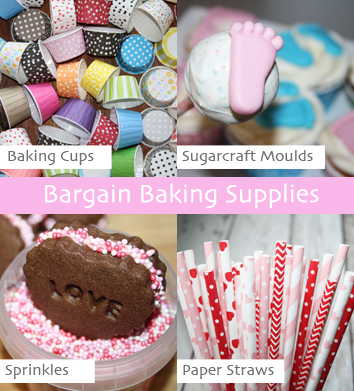 Perfect for summer parties or as little party favours that won’t melt. You can easily halve this recipe if you don’t want to make as many as I did, or you can freeze the cookie dough for a month once made. 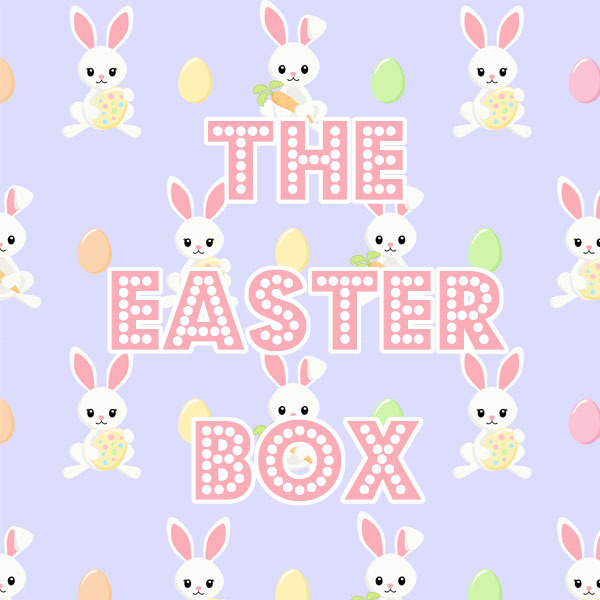 I hope you enjoy having a go at these! 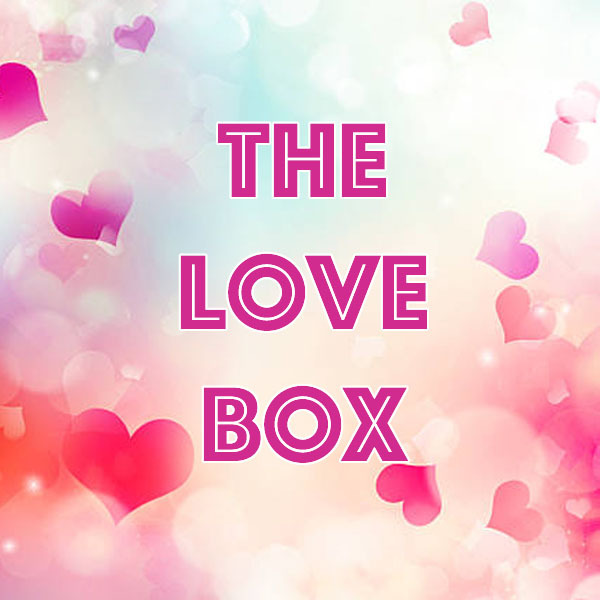 There are loads of other british classic ice creams you could try using the same methods, I would love to see what you come up with!